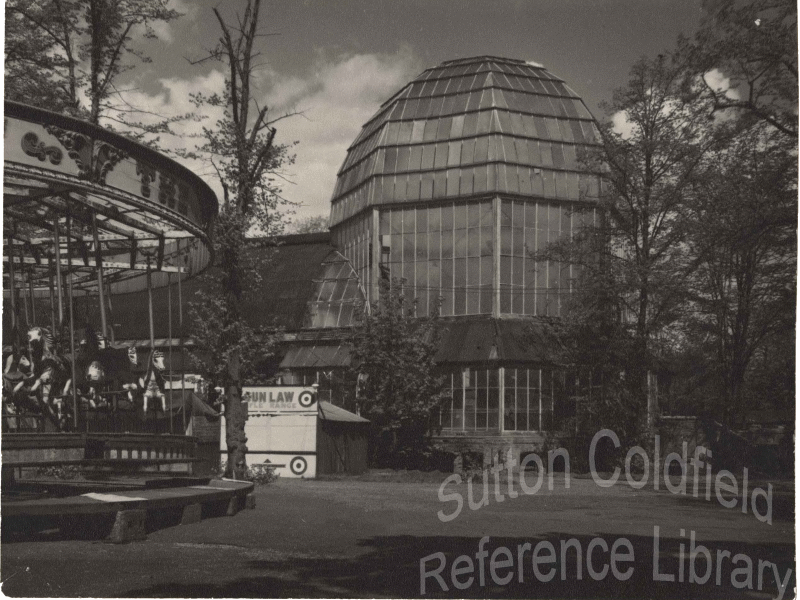 Visitors to Sutton in 1900 would flock to Sutton’s Crystal Palace - it had a zoo in its grounds where they could see monkeys, lions, camels and kangaroos. Our Crystal Palace was opened in 1879, but twenty-six years previously a more ambitious plan had been put forward. In July 1853 the Mayor of Birmingham, James Baldwin, wrote to the Warden and Society of Sutton with a comprehensive plan to provide “a place of recreation for the inhabitants of the Borough [of Birmingham]”. The original Crystal Palace had been built in Hyde Park to house the Great Exhibition of 1851, and had caught the public imagination, so the proposal was to build a crystal palace in Sutton Park connected by a branch line to the Midland Railway at Saltley. The plan met with great enthusiasm, with proposals for rail links from several Black Country towns. The original Crystal Palace was being moved from Hyde Park and rebuilt at Sydenham, but in September a fatal accident killed five construction workers. This cooled enthusiasm for the Sutton scheme, which was dropped entirely when the Warden and Society refused to allow Birmingham to build on Sutton Park. The Park continued to attract large numbers of visitors to its wild beauty. It occurred to Job Cole, a nurseryman from Aston, that many of these visitors would enjoy more formal pleasure grounds. He laid out his grounds on a 10-acre site between Clifton Road and the Park, and the Royal Promenade Gardens opened in 1868. This was a great success when the sun was shining, but English summers have always had bad days, so there needed to be attractions under cover. The Crystal Palace was built, capable of sheltering 1500 persons, with refreshment rooms and even hotel apartments. It flourished for a few years, but the owners went bankrupt, and in 1891 it lost its drinks licence when the new owner, the eccentric Mr. Earle, terrorised the neighbourhood by threatening all and sundry with his shotgun. Good times came again, but in 1905 the floor gave way and forty children ended up in the cellar. It escaped demolition in 1906, but never recovered its popularity, although the grounds with the miniature railway and the big dipper were still a success. The Crystal Palace was used for storage in wartime, and was finally pulled down in 1962.